Another year of San Diego Comic-Con has come and gone, leaving me to screech over all the new information and pictures flinging around the Internet. While many of the announcements, trailers, and cast photos and shenanigans were exciting, there was one announcement that had me in tears. It has to do with the upcoming animated TV series Final Space. 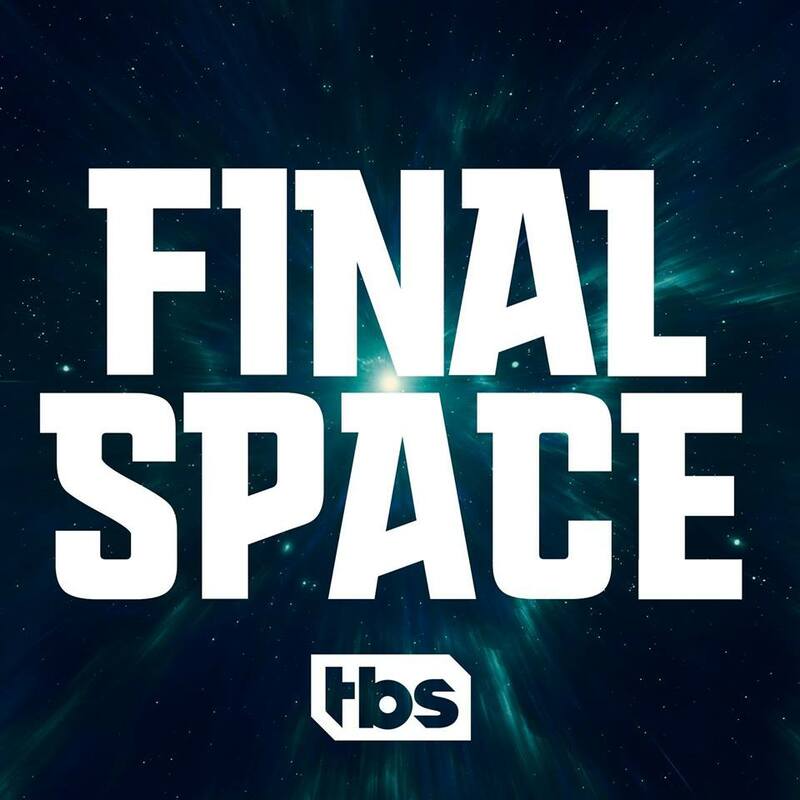 Wait, what’s Final Space? Oh, let me tell you. Final Space is about a spaceman named Gary and his sidekick Mooncake who are on a mission to discover if the universe actually ends. But Final Space doesn’t start with a plot synopsis. It starts with one man. If you were anywhere on the Internet about five years ago, you may have stumbled upon a video of this weird dude sitting in his room telling a story about his experience in a Target bathroom. You may remember the phrase, “It’s a Monday” and laughing along as this guy described scaring the (literal) crap out of someone in another stall. This man’s name is Olan Rogers. If you are like most of the Internet, you watched the video, laughed, maybe shared it with some friends, and promptly forgot about it and the man who created it. If you’re like me, you stuck around. You became a casual fan of this Olan guy. You watched his videos and kept up with his announcements. So when April of 2016 came along, you learned about the beginning of Final Space. Olan Rogers created a seven-minute, animated video about a spaceman named Gary and his misadventures. But this was only the beginning, the start of the journey. After being invited to L.A. by a producer from Conaco (Conan O'Brien's company), Olan Rogers pitched the idea of an animated space adventure to several networks. Long story short, TBS, in conjunction with Conaco (and several other companies), greenlighted Final Space to air in 2018. And it’s going straight to serial. While an animated, interstellar comedy show sounds absolutely delightful, it’s much more important than introducing something new to the television world. The story behind this animated video becoming a full TV show is crazy cool because Olan Rogers basically deserves the world. He’s a regular guy, who is just passionate about what he loves. And he loves making videos, whether they’re comedic sketches, animated shorts, or simply himself sitting on front of a camera telling a wild story. In addition to having 923K followers on YouTube, he’s starred in several independent films, some he created himself, including New Prime, Pop Rocket, and "Star Wars: The Scarlet Lance" (which was made for the Lucas Film Showcase at Buffer Festival in 2014). Olan also explained that he chose TBS because ultimately he wanted the show available for people to watch. YouTube Red offered a full series, but he turned it down because he didn’t want his fans to pay to watch it. Instead, TBS is offering to air it on TV as well as put it on their website and app. In addition, it’ll be available on iTunes and possibly Amazon. And he made these decisions because he wasn’t thinking about making money or putting his name out there; he did it because he was thinking of his fans. He does it all simply because he loves to do it, and he wants people to laugh and enjoy a good story. He’s been waiting a long time to catch a break. So finally, finally, all that hard work has paid off. And I’m stoked. For him and because his idea does sound really cool and I laughed a lot while watching the pilot video. But also because his story inspires hope that hard work and dedication to things we love can pay off. Maybe it won’t happen right away or it won’t skyrocket us to the top, but something great can happen with it. As a creator myself, this story resonates with me, and I’m grateful for Olan Rogers’ optimistic and encouraging outlook in life. He’s a total fanboy, even about his own creations, and it’s fantastic to see his dreams coming true. But beyond Olan Rogers being an amazing person who deserves this shot, the team behind the show is incredible. Two words: Conan O’Brien. Need I say more? In addition, TBS is partnering with New Form, who worked on the original pilot video. They are using everything Olan and his team originally created to make this show work, which is pretty cool. It’s not just Olan who is having his work and dreams turned into something bigger than a 7-minute video on YouTube. And then there’s the whole concept. An animated, comedy space adventure. That’s like all my favorite things wrapped in one. I’m already picturing a little bit of the Guardians of the Galaxy humor and Star Trek adventure thrown against a gorgeous animated outer space backdrop. There will be cool action scenes and devastating moments that rip out your soul. Olan promises the show will make you laugh and cry. What’s not to like? I don’t really know what to expect, except Olan Rogers said this is the first show of its kind. Yes, we have other animated shows that aren’t just for kids, but this is the first one that’s pure space opera and not just satire or humor (or dirty jokes). It’s an adventure in space with tons of great characters. Which leads me to yet another reason Final Space is going to flip your universe upside down: the cast. It was during that glorious week of Comic-Con announcements that Olan Rogers shared the cast list. And Holy TARDIS of Gallifrey! The list is glorious. Just look at that list. All those names. Those well-known names. When I watched the announcement video, I teared up when I saw David Tennant’s name (mainly because I miss David Tennant but also because who would have thought Olan Rogers would create something for David Tennant to star in? I can't even.) But then I saw Gina Torres who was in Firefly, Caleb McLaughlin and Shannon Purser from Stranger Things, and of course, Ron Perlman, included as well and I cried. But then there were more names. Names like John DiMaggio and Tom Kenny, who are both known in the animation world already for shows like Adventure Time and Spongebob, respectively. Others like Andy Ritcher, Steven Yeun, Keith David, Fred Armisen, and Conan O'Brien himself also made the list. I cried because these names blew my freaking mind (and the music paired with the cast list was moving). I cried because Olan Rogers has come so far and he deserves the world, so why not just give him the whole flipping outer space. Final Space won’t air until 2018, and they haven’t announced a set airdate yet. But in the meantime, you can watch the original pilot episode below and a promo released by TBS. 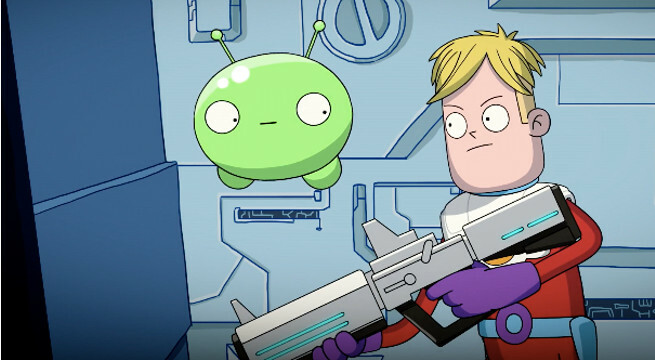 If they make this show even half of what Olan Rogers originally did (on a limited budget to boot), I think Final Space is going to be a show to keep your eye on. And who knows? Maybe more shows like this can be a thing, and more dreams can come true. Olan Rogers, you are the master commander and this is for you!